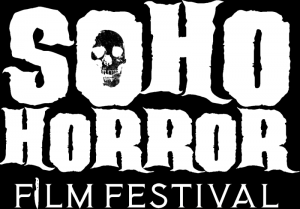 November 2018 saw our short prequel/proof-of-concept “The Vampire of Soho” get its World Premiere at the aptly named Soho Horror Film Festival. A huge thanks to the organisers, Mitch & Charlie for slipping us in at the last minute into their inaugural event. Director Andy Edwards, producer Trish Rybarczyk, and stars Amelia Bennett & Nic Lamont were in attendance to give an intro to the 80’s goth-punk love story. The short will now hopefully be hitting other festivals around the world. You can follow its progress, and the development of the Vampires of Soho feature film on Instagram, Twitter and Facebook.